Spring is finally here! We have all been waiting patiently and the days are starting to get warmer. We are now in full gear planning our Spring Show and filling this year's calendar with new events and classes. The break is over. We have added something NEW to our Spring Show in April. We will have a food truck in the parking lot, available all weekend long, (Friday, Saturday, Sunday) to sell delicious food if you are hungry. We will still have our light refreshments Friday night, but if you are still hungry, there will be food right outside that you may bring in to eat while you listen to the fantastic music we have lined up for you. So, come back each day to listen to great music, watch art demos, and have some good food. We need physical help in moving our panels over to the American Legion on Wednesday, April 24 and setting up chairs before the drop off. We could also use help with hanging the show on Thursday. Please let me know if you can help. We still have the months of August and October available for group shows! If you would like to do a group show or be a part of one, register online. Would you like to teach a class? Contact me with what you would like to do. We are still seeking artists, artisans, and crafters to rent tent space for our July Music & Arts Festival. We already have 4 food trucks coming, and a local brewery. The music lineup is looking sweet with great art in the gallery. Mark your calendars for this event! More information, applications and deadlines can be obtained on our website. July- Theme Show: "Art of the Animals"
September- Group Show: Theme "Rust"
November- Theme Show: "Small Works"
Option 1: Online entry which submits your information & payment to GALA electronically. Please support GALA by donating to the "Off the Wall Art Sale" and/or Artwork Raffle. See the Call for Entries for details on these important fundraising events. The Art Show in the GALA Gallery for the month of MAY will be all the ribbon holders of the Spring Show. Please consider demonstrating your creative process at the show. Indicate your interest on your entry form. You will need to renew your GALA membership on your entry form unless you are a current member. If in doubt, please email membership@galagardner.org. Register online or download an entry form. GALA's artists are teaming up with Ahimsa Haven Animal Rescue for a theme art show to benefit both artists and the animals. Proceeds will be split between the artists and Ahimsa Haven Animal Rescue. The theme is Animals, which includes all media, photography, and 3D. Animals can be pets, nature, wildlife, birds, farm, and other small or large creatures. Join us in supporting a wonderful cause. GALA's art sales will raise funds to help pay medical bills for animals in need. This is your chance to help local animals and do what you love to do...create! GALA is seeking applications from New England craft artists and Fine Art artists making original work. Festival is a one-day outdoor show featuring work of artists from the area. If you are interested in selling your art, please see the Application Form for more details. You do not have to be a member of GALA. 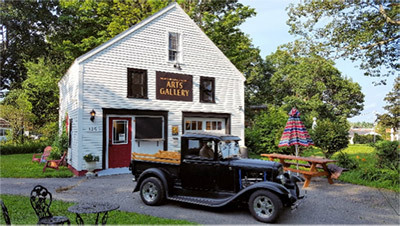 RUST, a proposed group show in September at the GALA Gallery, 135 Front St., Winchendon, has openings for more artist members to join in exhibiting their presentations of rust in art forms. Currently the exhibitors are Alicia Drakiotes, Susan Ellis, Louise Parmenter Hammerman, and Brad Willard who have previously exhibited their rust creations as a group at the Jaffrey Civic Center, Jaffrey, NH, and the Heywood Library in Gardner. We are seeking other members who find the beauty in rust and thus create photographs, paintings, sculpture and innovative art works from this intriguing remnant of civilization. Please keep in mind the limitations of the gallery space. If interested, please submit 3 images of your works and label: Lastname_Firstname_Title_Image #jpg to gallery@galagardner.org. Images should be no larger than 300kb. Please include a brief statement about your interest in this subject and your contact information. Come join me, Rick Flematti, at the Spring Thyme Extravaganza event on Thursday, May 2 from 6 to 9pm. Located at the PACC on Kendall Pond in Gardner, MA. There will be plenty of vendors to offer their wares in time for Mothers Day. This spring Tower Hill Botanic Gardens will celebrate heroes from the plant world in order to encourage viewers to become heroes in their own communities. 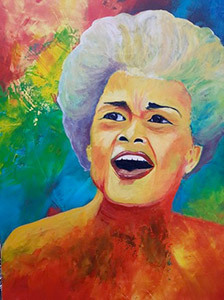 This exhibit will feature portraits by local artists of diverse leaders of horticulture. Carrin Culotta was selected as one of the ten participating artists and completed a portrait of the "Plant Doctor", Cynthia Westcott. 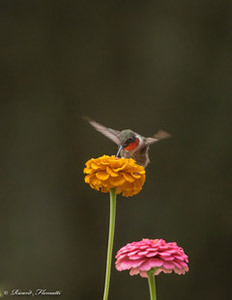 The "Horticultural Heroes Exhibit" is on view through May 12 in the Milton Gallery at Tower Hill. reveals the artist's proficiency in creating visual art. 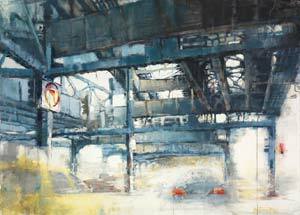 The show includes a selection of original works in watercolor, acrylic, graphite, mixed media and pastels created en plein air and in studio settings depicting a range of scenes in a variety of styles. 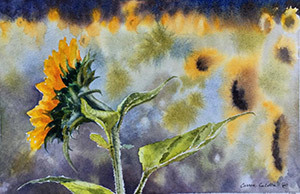 The exhibit features works by gallery artists' Patricia Chandler - acrylic, graphite and mixed media; Carrin Culotta - watercolor; Randy Eckard - watercolor; Julianne Garvey - watercolor; Scarlet Kinney - watercolor and pastel; and Bob Santandrea - pastels. 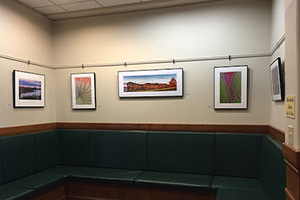 The art of Len Haug will be on display during regular business hours at the Center for Wound Care, in Heywood Hospital, 242 Green Street, Gardner, through May, 2019. 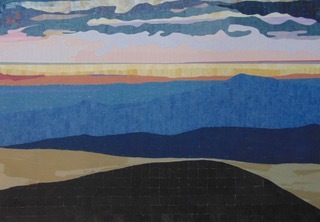 The show, with original art for sale, will include a selection of his cut paper mosaic and collage paintings created over the past five or ten years. Join Alicia Drakiotes at Sharon Arts Center for "Creating A Series"
Sometimes it takes more than one work of art to convey an idea or technique. In this class, you will identify your artistic longing and formulate realistic goals for a series of paintings or drawings to express it. You will work towards those goals in a supportive group environment, producing pieces both in and outside of class. All 2D media are welcome. Participants should have basic skills in their chosen medium and should be prepared to share work and works-in-progress with the class. For more information please visit the NHIA website. Come and surround yourself with art. 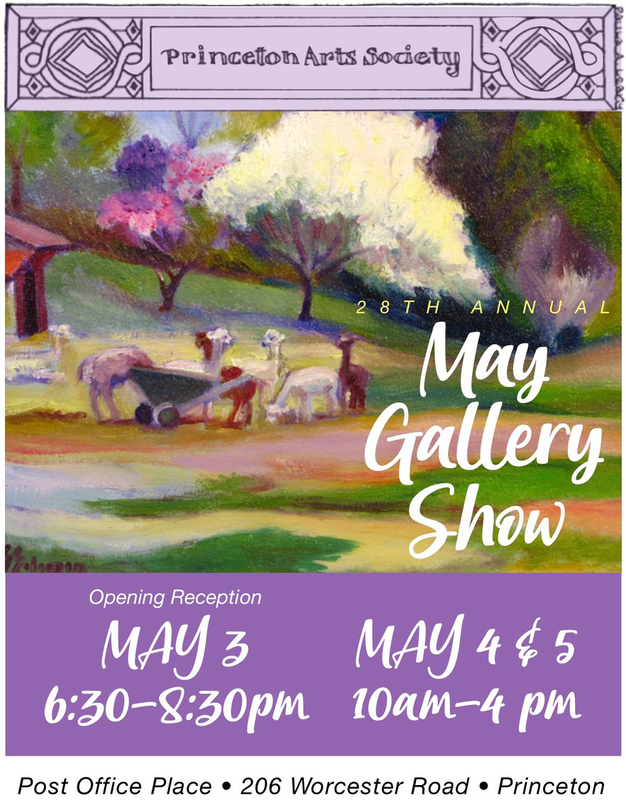 The Princeton Arts Society's 28th Annual May Gallery Show is the perfect opportunity to view inspiring works of art and perhaps add a piece to your personal collection. All work is by the Society's members, many of whom are award winning artists widely recognized in their fields. The show includes works in oils, acrylics, watercolors, pastels, photography, and more, including three-dimensional works, with subject matter as varied as our artists. Our Opening Reception will include refreshments and live music by Tim Loftus and Mary Carfagna. Ms Carfagna is a cellist with the New England Symphony Orchestra and a cello teacher. Mr Loftus is an instrumentalist (flute, guitar, and tenor banjo) performing often as a soloist, sharing stories, music, and visual presentations on Irish culture. ArtsWorcester presents Variations in Blue, a collection of works by Amy Klausmeyer. 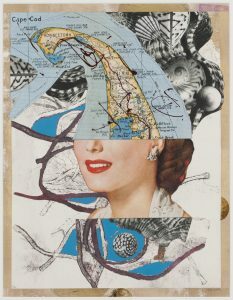 The artist's medium of choice is paper--using monotype, ephemera, altered images, and handmade papers, Klausmeyer creates mixed media assemblages and collages. An artist talk will take place during the opening reception at 6:30 PM. This exhibition will be on view March 19 through July 10, 2019 in the Franklin Square Salon Gallery at the Hanover Theatre. The opening reception is free and open to all. Parking for the opening and viewing appointments is available in the City's Federal Square lot, across Main Street from the Hanover Theatre. Other viewings are available by appointment through July 10, 2019. To schedule an appointment, please contact ArtsWorcester at info@artsworcester.org or call 508-755-5142. Local resident and artist, Susie Choate will exhibit her mixed media artwork in the Display Case Gallery at the Jaffrey Civic Center through April 19. 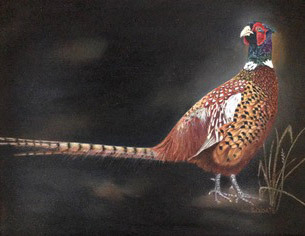 Susie specializes in colored pencil, water soluble oils and Pysanky (Ukrainian decorated eggs). Her paintings and pencil-works can be seen throughout the year at various shows and auctions, and her Pysanky work has been recognized in area newspapers, as well as local and international magazines. Her goal is to never stop learning and creating. 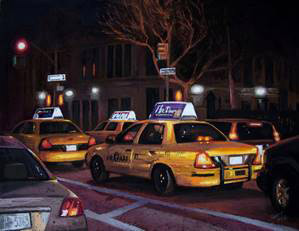 There will be an Opening Reception for Susie's work on Saturday, March 23rd from 5 pm to 7 pm. Free and open to the public. 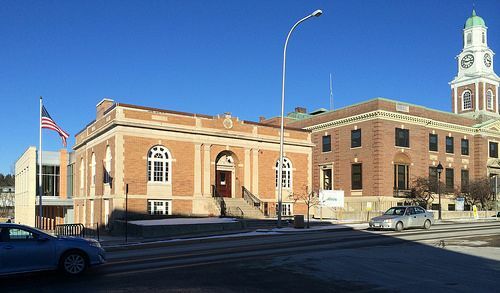 The Jaffrey Civic Center is located at 40 Main Street, Jaffrey, New Hampshire, next to Library, parking in rear. Hours are Monday through Friday, 10 am- 12 noon, 1 pm to 5 pm and Sat 10-2. Admission is always free. For more information about us, call 603-532-6527, e-mail us at info@jaffreyciviccenter.com find our website, www.jaffreyciviccenter.com, or "Like" us on Facebook. Join us for an Art Opening at Zavo Mediterranean Restaurant from 5:30-7:30 PM to see new work by artist Kate Shaffer. Light refreshments will be provided. Hope to see you there! Join us at the Bull Run Restaurant in Shirley, MA for our April Bull Run Artist's Walkway featured artist, Amanda MacDonald. Light refreshments will be provided. Join us for our third gallery walk in Brattleboro, VT. This will be at 58 Elliot Street in Downtown Brattleboro, VT. It will be from 5:30-8:30 PM. Light refreshments will be provided. Artists Included: Melissa Richard, Dawn Morton, Dug Morton, Roberto Perotti, and Mia Scheffey. Join us for an Art Opening at Gallery Sitka East from 3-5 PM to see new work by artist Jonathan Route. Light refreshments will be provided. Hope to see you there! Join us for our fourth gallery walk in Brattleboro, VT. This will be at 58 Elliot Street in Downtown Brattleboro, VT. It will be from 5:30-8:30 PM. Light refreshments will be provided. Artists included: Jonathan Route, Roberto Mazzonetto, Mia Scheffey, Jeanne Borofsky, and Kate Shaffer. Nina's Nook is pleased to present "Spontaneous Combustion: The Improvisatory Art of Adam Bosse," during April. 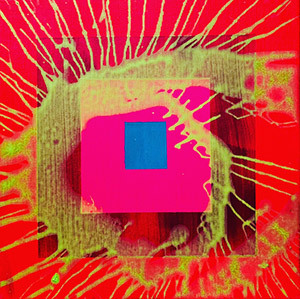 Bosse is exhibiting some of the visual art that he has created since the fall of 2017, work that he feels visually represents the work he has done as an improvising musician. It is his first gallery show in the area. Meet Adam Bosse at an afternoon reception on Sunday, April 14. Nina's Nook is located at 125A Avenue A in Turners Falls, next to the Black Cow Burger Bar. For more information: 4513.834.8800 or ninasnook.com. The registration fee for this 2-day workshop is $300. This fee is non-refundable unless the minimum number of students is not met or the class is cancelled by this art group or the instructor. 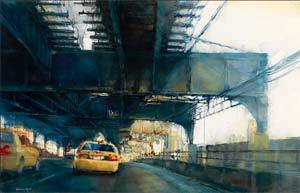 Antonio Masi is President of the American Watercolor Society. He has developed a novel way to use watercolor thickly, in the same way that others use oils thickly. It is an approach that produces exceptional results. Masi's use of watercolor allows him to capture mass, power, and delicacy. A $100 deposit holds your space, Full payment by April 15, 2019. You will work on 5 or 6 paintings during the day with a time limit of 1/2 hour each. Expect to do great things and maybe even finish some paintings. I will paint 2 demos as well. Only 8-10 students for this workshop. 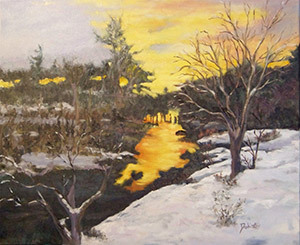 This is a two-day workshop at Jim's studio in Keene, NH. There will be both indoor and outdoor possibilities to paint the landscape. Impressionist Influenced Painting- There will be emphasis on loose, spontaneous, visible brushstrokes, emphasis on the depiction of light in its changing qualities, the inclusion of movement and bright and varied use of color. There will also be emphasis on expressing an internal energy and an emotional connection to your subject matter. Only 6-8 students for this workshop. Artist Lisa Ober, PSA, will teach a color-filled workshop on how to create beautifully detailed still life paintings in pastel. Lisa will take a step-by-step approach through her unique still life technique, from the first sketch to the finished piece using a photo reference (provided). Short demonstrations followed by plenty of class work time will ignite a passion for still life painting as students see their colorful paintings take shape. Participants will learn the skills needed to create believable and realistic still life paintings that are loaded with impressive details. Lisa will discuss developing keen observation skills, color selection, pastel application, and she will disclose her secrets for handling difficult surfaces such as glass or metal-giving special attention to this area. Students will get plenty of personal attention, and Lisa's enthusiasm for still life painting is as contagious for the beginner as it is for the experienced painter. Regardless of favorite subject matter, students will leave with some hot tips for making their future paintings stand out in a crowd. If those in the class aren't already in love with still life painting, they will be by the end of this one! For registration forms write pastels@tpdi.biz to be notified when ready. 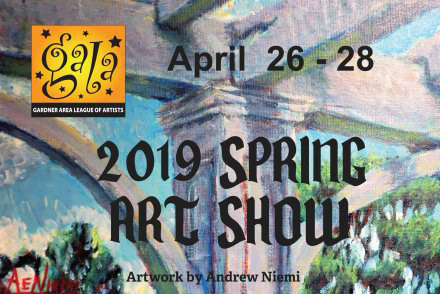 This will be our 28th annual spring show, showcasing the work of 40-plus artists. Questions? Reach us at contact@princetonarts.org or phone 508-746-4175. The UU Society is seeking Fairy Houses from the public to be included in our Annual Spring Fair and Fairy House Stroll. Your fairy house can be made of any combination of materials - natural, found objects, pre-made items, or whatever suits your fancy (and of course the fairies)! Use a tray or other material for a base. Your fairy house can be any size, but it must be able to be easily picked up and moved by mere mortals. The fairy houses will be displayed outside in the gardens and grounds where guests will stroll along through our gardens and grounds, discovering and admiring your fairy house. To learn more and to arrange for drop off or pick up of your fairy house, visit www.uusg.net/fairyhouse or email fairyhouse@uusg.net. Open to any artist age 18 and older residing in New England or represented by a New England gallery. All work must be painted with aqua media. These include watercolor, acrylic, casein, egg tempera, gouache and inks on unvarnished paper or synthetic paper such as Yupo. Please see the prospectus or the NEWS website for full details. 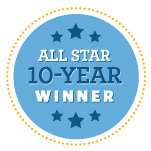 GALA has achieved Constant Contact's All Star Award for 10 years in a row (2009-2018) for demonstrating best practices in the use of email marketing.